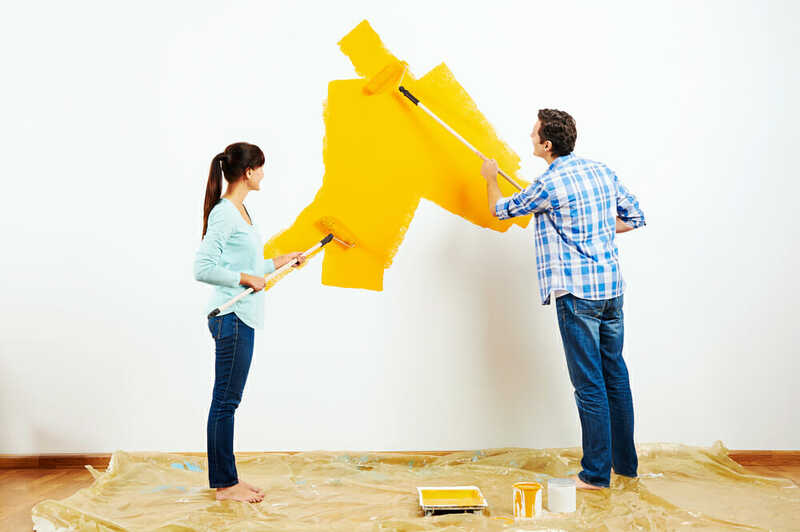 Whether you’re redecorating your living room, finally covering up the screaming lime green you painted the bedroom, or just doing a little touch-up, there’s more on the line when you repaint your home than simply adding some beautiful color. The paint you choose affects your health and the environment, too. Conventional paint contains pollutants called volatile organic compounds, or VOCs, that “outgas” and escape into the air after they are applied. Indoors, these VOCs cause headaches, nausea, achey bones, and general discomfort. Outdoors, they contribute to smog and air pollution. At their worst, says the U.S. EPA, volatile organic compounds can damage the liver, kidney, and central nervous system and may cause cancer. Even “low” VOC paints are toxic and should be avoided completely. Fortunately, most paint companies now sell “no-VOC” options, and some companies only sell paint that contains neither VOCS nor other toxic chemicals. These paints perform as well as conventional paints, rolling on smoothly, drying quickly, and lasting through normal wear and tear. Plus, because they’re water-based, the brushes and trays clean up easily with soap and water. They come in hundreds of colors, and also in standard eggshell, glossy, and semigloss finishes. You can also select no-VOC water-based stains, finishes, and paint strippers, too. Milk Paint– This company produces old-fashioned “milk paint” that has a historic, colonial America feel. The product is made from a concoction of calcium-caseinate or milk protein plus lime that is totally free of VOCs, solvents, hazardous air pollutants, latex, lead, mercury, radioactive materials, petroleum by-products, and synthetic preservatives. They promise their product is completely safe for people suffering from multiple chemical sensitivities, as well as pregnant women and children, which is why it’s sometimes used on toys, in kids’ rooms, and in some hospitals. AFM Safecoat– This paint has been formulated to achieve optimal indoor air quality along with beautiful and durable finishes. Among its features: No VOCs, formaldehyde, ammonia, crystalline silica, ethylene glycol, aromatic hydrocarbon compounds, exempt solvants, or hazardous air pollutants. In addition, the colorants used have no VOCs or hormone-disrupting chemicals. Safecoat paint meets or exceeds all federal and state air quality regulations, including those set in California. Colorhouse– This company was founded by artists looking for quality paint with minimum health and environmental impact. Their paints contain no VOCs, reproductive toxins, or chemical solvents, and they’re free of hazardous air pollutants. The product is LEED compliant, and is “super compliant” with the strict pollution control standards set by California’s South Coast Air Quality Management District. The company also lets consumers drop off leftover paint at their warehouse so it can be recycled. Mythic– In addition to having zero volatile organic compounds, Mythic is free of acetone, ammonia, formaldehyde and other toxic chemicals. It is Green Seal certified, as well as Master Painters Institute certified, and it cleans up easily with soap and water. In addition, the compounds it uses to color its paint contain no VOCs or hormone-disrupting chemicals. Sherwin-Williams’ Harmony- This interior latex paint is zero-VOC and available as both a primer and topcoat. Its zero-VOC formula also claims to help reduce common indoor odors from your pets, cooking, and smoke to help rooms stay fresher, longer. Harmony is GreenGuard® Indoor Air Quality Certified and GreenGuard® Certified for Children and Schools. Benjamin Moore’s Natura- Natura’s Zero-VOC and Zero Emissions Paint is also water-based, fade-resistant, and washable. It dries in 30 minutes and can be recoated after only one hour. This paint is certified asthma and allergy friendly by the Asthma and Allergy Foundation of America and was named Product of the Year for 2015, a designation conferred by the votes of 40,000 consumers conducted by research partner TNS. 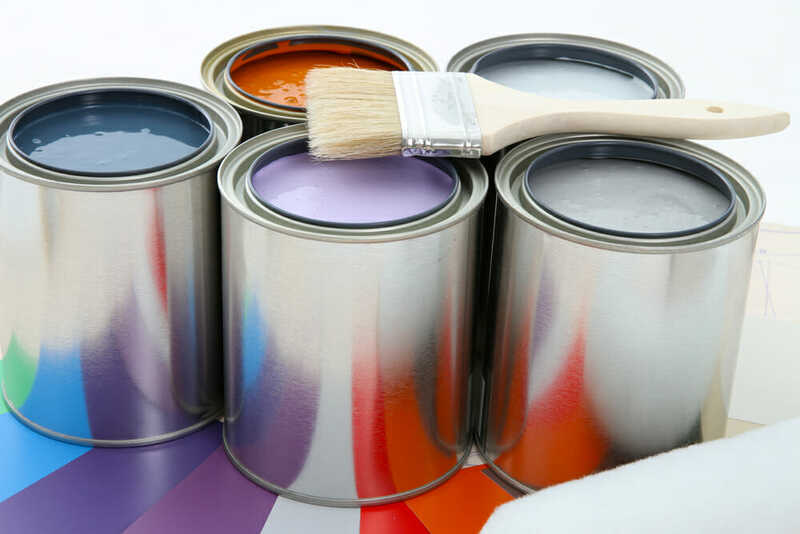 ECOS Paints– ECOS creates paints, varnishes, and other finishes that are not only VOC-free, but they contain no toxic solvents, turpentines, glycols, vinyl chloride, heavy metals, or phthalates either. Plus, the company uses containers that are made from 100% post-consumer recycled and 100% recyclable material, along with their shipping boxes. Have you tried a no-VOC paint? Which one did you try? What was your experience? Share your review with us in the comments below!